Cristiano Ronaldo's exit is to blame for Real Madrid's underwhelming start to the 2018-19 season, according to the club's former coach Vanderlei Luxemburgo. 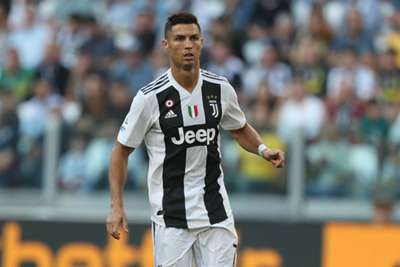 Ronaldo left Madrid for Juventus in July after nine hugely successful years at the Santiago Bernabeu, following coach Zinedine Zidane in leaving the Spanish capital. Although Ronaldo put his departure down to a desire to have a new challenge, speculation has suggested it came about because of an increasingly fractious relationship with president Florentino Perez. Either way, Madrid have not been their usual ruthless selves without him and sit fourth in LaLiga after eight matches, having not won any of their last three. A defeat at home to Levante on Saturday will increase the pressure and potentially result in up to four more teams sitting above them in the table, and Luxemburgo is putting their struggles down to not having a player of the same calibre as Ronaldo. "It does change. Cristiano makes all the difference," Luxemburgo – who coached Madrid in 2005 – told Omnisport. "I've worked for Real Madrid and I know that such a special player worries opponents - big opponents. "Real Madrid don't have a player now that makes the opponent feel they are dead. You know, that feeling of 'I have to face Cristiano Ronaldo'. "Madrid don't have such a reference in the current squad." While Madrid did not sign a like-for-like Ronaldo replacement, they did at least see Julen Lopetegui succeed Zidane having previously impressed with Spain, before he was sacked on the eve of the World Cup for accepting his Los Blancos role. The pressure is on Lopetegui because of their recent poor run, but Luxemburgo – sacked in December 2005 after 11 months at the helm – thinks Perez will not make a hasty reaction. "The pressure is always intense there," he added. "We are talking about the biggest club in the world. "If the results aren't coming, the pressure will always be huge, but Florentino Perez is a clever and successful man, and I believe that he knew this would be a difficult season for them. "It would never be easy to replicate the previous titles. He knew it. So, I believe that he's calm now, waiting the right time for doing more investments in the squad to make Madrid champion again."